Conference hall in Druskininkai - guest house "Parko vila"
40-seat conference hall for rent in the guest house "Parko vila" in Druskininkai. 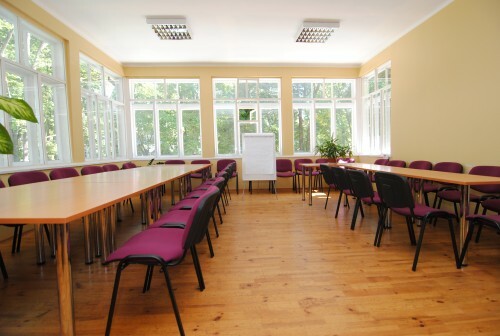 We invite you to organize conferences, seminars, team building events, business meetings. We will arrange coffee breaks, serve refreshing drinks for your guests. You can have lunch, dinner or just a snack in the café of the guest house .